North Korea has fired 30 short-range missiles into the sea, South Korean military officials said, marking the second time in under a week that the isolated nation has done so amid ongoing joint US-South Korean military drills. 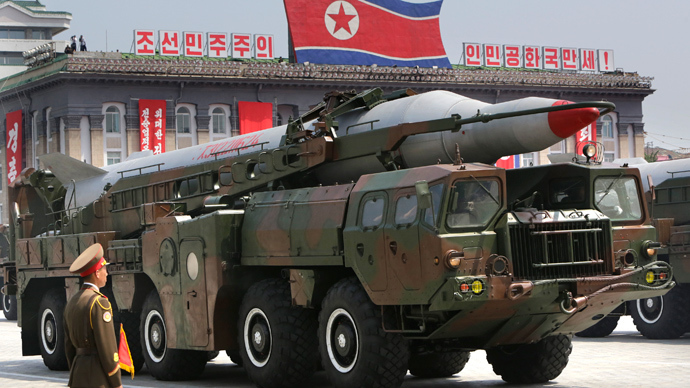 South Korea’s Yonhap news reported that the missiles were fired in three consecutive groups and are thought to have flown approximately 40 miles into the ocean. The exercise began at 4:00 a.m. local time from the east coast of North Korea, according to the South Korean joint chiefs of staff. It comes just days after South Korea said the North fired 25 short-range missiles 40 miles into the Sea of Japan. 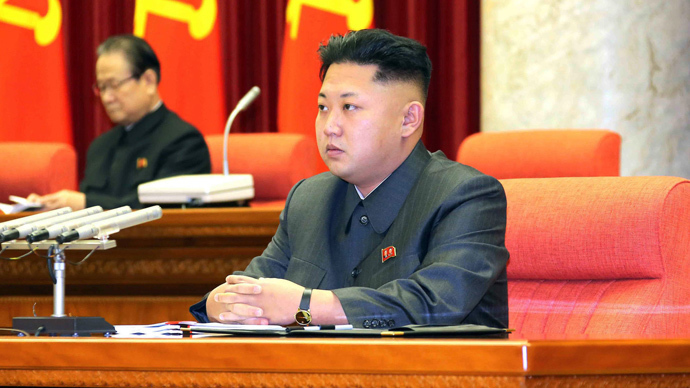 The US State Department condemned the exercise, with spokeswoman Jen Psaki asking Pyongyang to reconsider its actions. The rockets, according to Reuters, are believed to be old Soviet-developed FROG rockets that the small nation has had since the 1960s. While United Nations sanctions against North Korea do not prohibit short-range missile tests, South Korea has called the tests a “reckless provocation.” Pyongyang did conduct its third nuclear weapons test early last year, perhaps inspired by a successful 2012 long-range rocket test that much of the international community said was intended display technology that could be used on an intercontinental ballistic missile. Both of those actions are banned under UN sanctions. 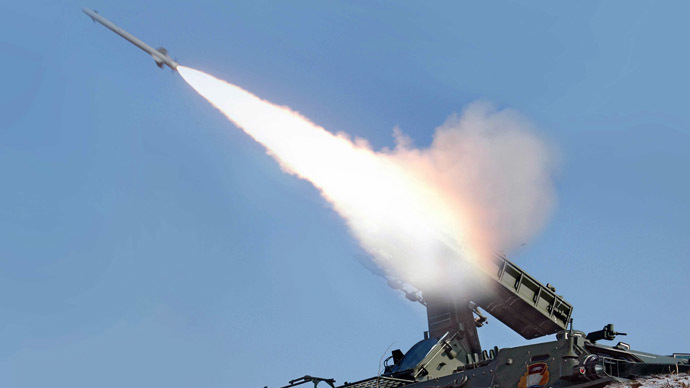 It is widely believed that the short-range tests are an armed protest against the joint military drills between the US and South Korea each year. The annual event began last month, when a combined total of 12,700 troops from both countries simulated air, ground, and naval training. Despite Pyongyang’s concern, both nations claim the drills are purely defensive. This year’s event came at a time of uncharacteristically warm relations between the North and South. Pyongyang and Seoul were unable for three years to agree on conditions that would allow the reunions of families separated by the 1950-53 Korean War. That changed last month, when elderly Koreans traveled from throughout the peninsula to visit with their relatives. The international conversation was less sociable earlier this week when China condemned a UN report that accused Pyongyang of committing mass killings, torture, and other crimes against humanity on a scale comparable to the Nazi-era atrocities. Yet Chen Chuandong, a counselor at China’s mission at the UN Human Rights Council, told Reuters the allegations were “divorced from reality” because a North Korean delegation was not there to defend the country. 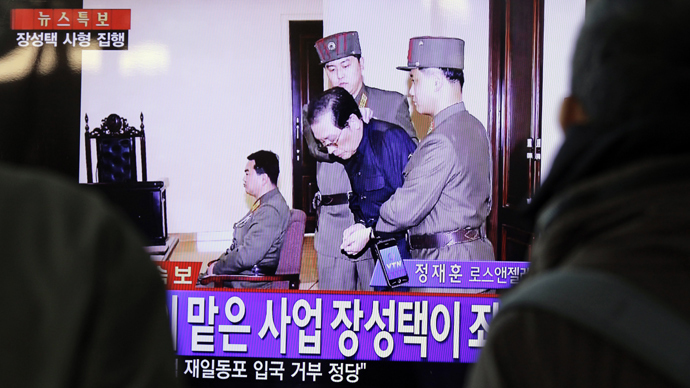 Retired Australian Judge Michael Kirby, the chief author of the report, said that North Korean Supreme Leader Kim Jong-un should be tried in front of the International Criminal Court because of prison camps that are believed to hold up to 120,000 people. Still, Japan is said to have agreed to formal talks with North Korea for the first time in more than a year. Formal dialogue has been suspended since the long-range rocket launch in 2012, although negotiations on a wide range of issues could continue again as soon as next month.